Receiver NASA PC Navtex Pro USB - receives messages on 518 kHz and 490 kHz. Designed to run on a personal computer. It provides continuous operation, thus always providing the latest weather data message or other information stored in the internal memory of the device. Simple and easy to use software makes it easy to find information of interest. 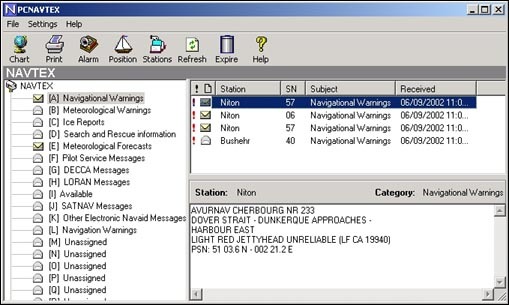 Also NASA PC Navtex Pro USB allows you to print messages. The kit NASA PC Navtex Pro USB includes a receiver and an antenna. Also in the kit is supplied with a fuse cord, hard disk with software, USB - adapter and a CD with drivers, to install the receiver and the cable length of 7 meters to connect the antenna.